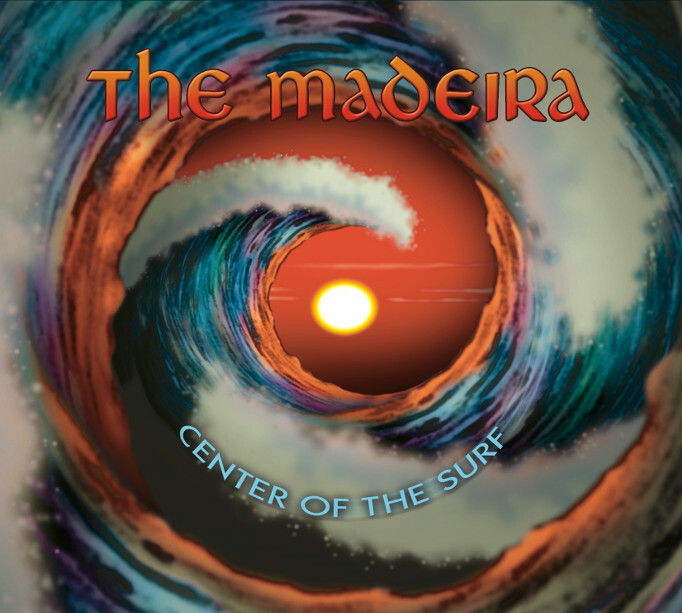 Announcing the release of "Center of the Surf", our new live album! We are extremely excited to announce the release of "Center of the Surf" (Double Crown Records), our second live album, this one recorded at the 10th Surf Guitar 101 Convention at the Alpine Village in Torrance, CA on August 5th, 2017. It was recorded and mixed by Mark Linett, triple-Grammy-winning producer and audio engineer who has worked with a long list of legendary artists, among them the Beach Boys, Brian Wilson, Frank Zappa, Red Hot Chili Peppers, Paul Simon, Los Lobos, Jane's Addiction, and Los Straitjackets. (See here for the full accounting of his many accomplishments). The tracklist is focused on the songs from our most recent studio album, "Ancient Winds", and we were also joined for the final three tracks of the set by the legendary surf guitarist and surf music historian John Blair (Jon & the Nightriders) on second rhythm guitar, as well as Jonpaul Balak (Insect Surfers, the Tikiyaki Orchestra, Tikiyaki Five-O, DJ at Fiberglass Jungle on Luxuria Music) on second bass guitar, making for an epic six-person line-up and a sound that can only be described as extraordinary in its scope! The cover and the CD package were designed by Stephen Blickenstaff, the well-known artist behind dozens of album covers (and many other artistic endeavors), including most famously "Bad Music for Bad People" by the Cramps. The CD will be available for mail-order from Double Crown Records on April 24th, but we will have it available at our two CD-release shows next weekend, at Melody Inn in Indianapolis on Friday, 4/20, and the Player's Pub in Bloomington, IN on Saturday, 4/21 (as well as Southgate Revival in Cincinnati on Saturday, 5/5). We hope you can join us for these all-surf shows - see more details here. We hope you pick up and enjoy "Center of the Surf" and that we see you at one of our many upcoming shows in the next six months, whether in Indiana, Ohio, and Michigan, or Florida and New Jersey! Have a wonderful Spring and Summer!